see F. Jullien, Histoire de Mār Abba, catholicos de l’Orient. 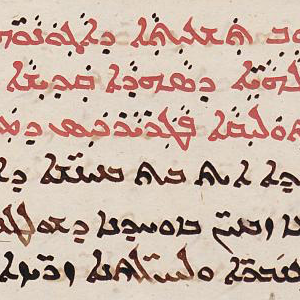 Martyres de Mār Grigor, général en chef du roi Khusro Ier et de Mār Yazd-panāh, juge et gouverneur, (Corpus Scriptorum Christianorum Orientalium 658-659, Scriptores Syri 254-255), Louvain: Peeters, 2015 : a critical edition based on manuscripts from the London, Berlin and Vatican Libraries. The Martyrdom of Mār Grigor Pīr-Gušnasp (d. 542). For more details (in French). The History of Mār Abba (d. 552). For more details (in French). The Martyrdom of Yazdōy-Christina. For more details (in French). The History of Šīrēn (d. 559). For more details (in French). The History of Yazd-bōzēd (d. 553). For more details (in French).